The Deauville is an absolute bargain for its prime location, views, swimming pool & price; though for smartness, aesthetics & luxurious it is only a very Cuban 3 stars. 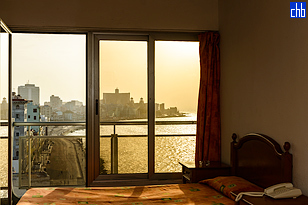 East & West it overlooks the wide sweep of the Malecon, Northward is the huge expanse of ocean and the romantic Morro Castle and its famous lighthouse. 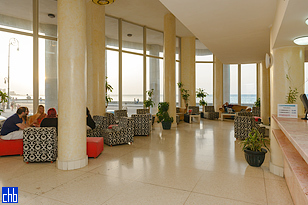 The South facing rooftop pool terrace has a wide view of the crumbling Central Havana City. 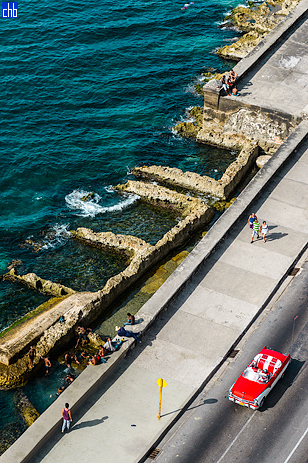 It is, excellently located for the exploration of the Old Colonial and the more modern Havana. And there is of course plenty to experince on your doorstep on the very popular seafront and backstreets off Galiano & San Lázaro Avenues. The exterior and rooms of the Deauville Hotel were renovated in 2011. On the first floor there is a restaurant called “Costa Norte”, stylishly decorated with tables facing the sea. 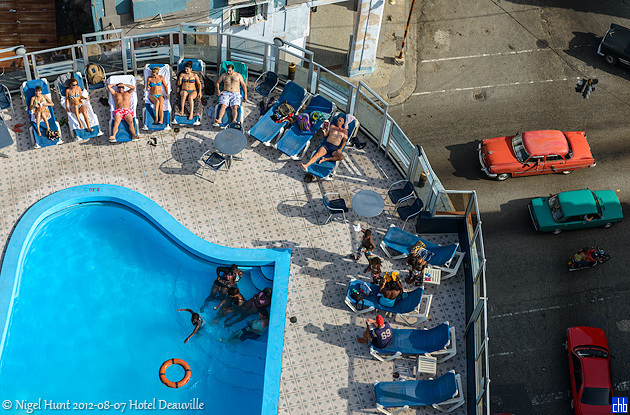 Hotel Deauville was formerly known as Hotel BelleVue Deauville and Hotel Hotetur Deauville. The hotel has 144 rooms are rather Spartan but admirably clean. They all have air conditioning and private bathrooms, telephones and satellite TV.